So...I ended up tweaking my Pokemon team before I took on Kiawe's Trial. I've had Gyrados in my team whenever I could in a Pokemon game. To prevent things from getting stale, I thought it was in my best interests to keep it in my box. Swapped it out for a Wishiwashi. As the totem Pokemon of my last trial, I thought it had a good showing when its ability was active. A bit disappointed I couldn't activate it but I look forward to trying this Pokemon out. I added a Ghastly to my party to help with capturing Pokemon. I remembered it learns Hypnosis early and took a bet that this was still true in Gen 7. Rockruff is cute and is super effective against fire-types. Also,a friend was looking for its evolved form which happens to be exclusive to Moon. A win-win all around! Last week I was looking for a fire-type to add to my main team and the volcano did not disappoint me. I found a Salandit, a fire & poison type. I like reptiles and it was in the types I was looking to add to my team. Really happy with it. A brought back a Meowth just cause. Out of fear of my party being swept by something super effective versus fire-types, I included neutral effective Pokemon. I decided to turn on EXP Share to speed up the training process. Exploring the volcano was neat! I found myself a Magby when I was training my party. What went from excitement turned into pure terror when it kept using Smokescreen,which decreases accuracy, on my Pokemon. Oddly enough,it also knew Clear Smog,which nullifies any stat changes.When it called reinforcements, I kept bouncing around low accuracy to normal accuracy because of those two moves. 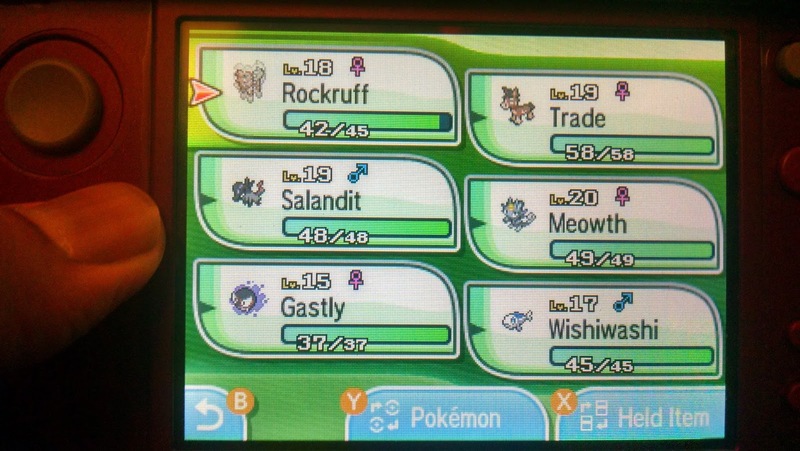 After KO-ing one of my party, I switched to Rockruff, which has an ability that prevents that Pokemon's accuracy from being lowered(Keen Eye). I should probably expect some type of shenanigans to happen when I'm "chaining" reinforcements. I wonder if reinforcement have a chance to call on Pokemon with hidden abilities or an increased chance for them to be shiny. I'm excited to read up on all the new mechanics when I finish this blind playthrough. Kiawe's Trial was interesting. His Pokemon,Alolan variant of Marowak, would perform a dance routine and you had to find out what was different. It was like one of those "Spot the Differences" puzzles. After the third dance I had to face the Totem Pokemon.It looks a bit like my Salandit, I hope that is what it evolves into. Oh man, I hope Alola Cubone isn't a Sun exclusive. I'll be so sad. My party was not overleveled but I did not have trouble with this Totem Pokemon. Although it's totem power was increased special defense, Trade the Mudbray was able to one-shot it. I was able to sidestep the SP.Def. buff because my Mudbray only knew physical damage moves. I lucked out against it with the 4x effectiveness working in my favor. 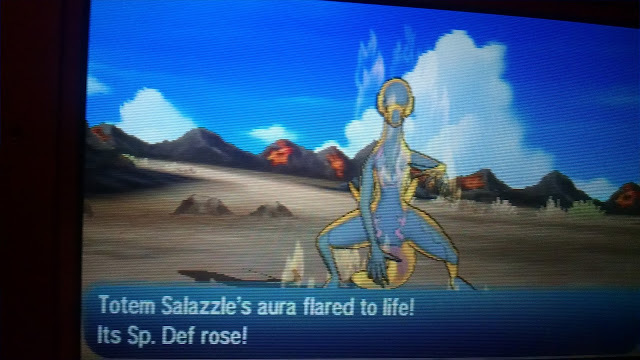 Of course, this is assuming the Totem Pokemon is the evolved version of Salandit, whose typing is 4x weak against ground-type moves. Beating Kiawe's Trial rewarded Charizard as a Ride Pokemon along with Firium-Z, the fire Z-Crystal. Charizard fills the role of the HM Fly. 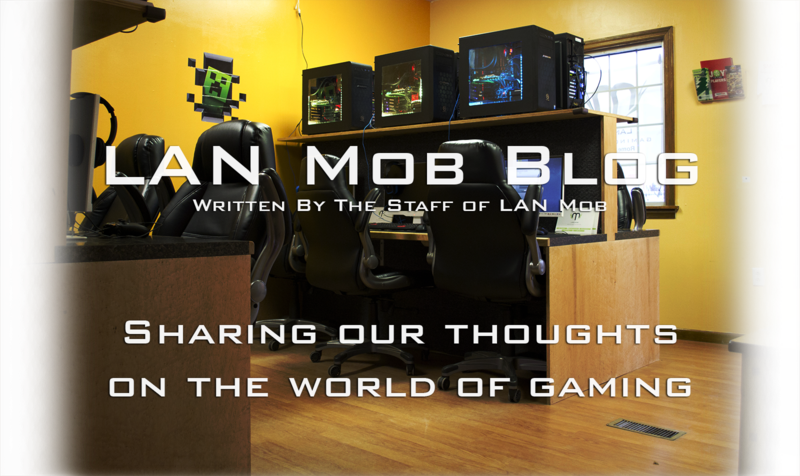 This allows you to travel to any point of interest that you've previously discovered such as PokeCenters or Trial Sites. 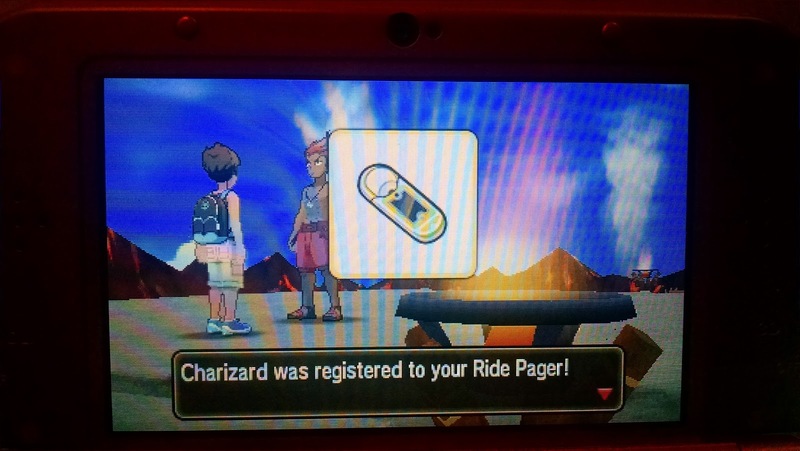 With this trial completed,the path to Route 8 was unlocked. 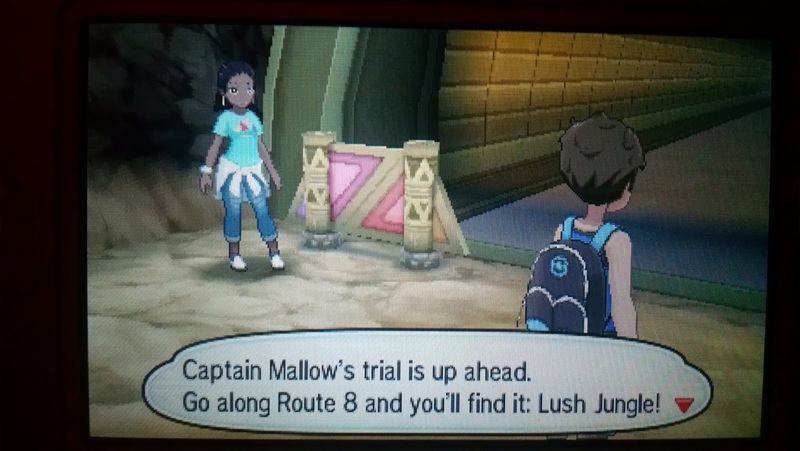 The next trial is set in Lush Jungle, which I assume will be filled with grass-type Pokemon. Bug, Poison, Fire, Ice and Flying Pokemon should shine for that trial. I'm sad that's another trial where I won't be using my water starter. Looking over my box real quick, I have quite a few fire and flying types. 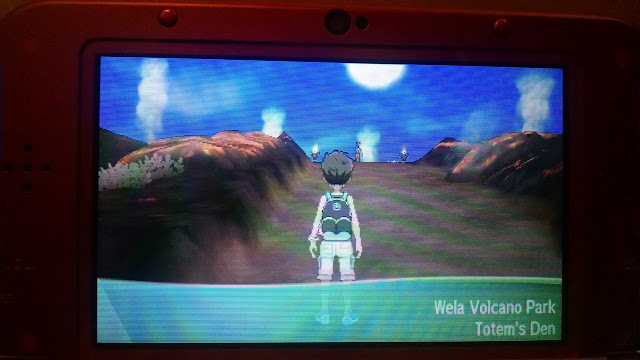 Whelp, time to go back to the volcano and look for Pokemon for the next trial!